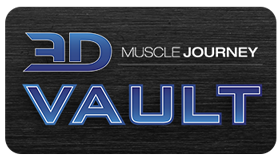 Submit your specific question and personal information below for a possible appearance in The Vault, the “Good Question!” blog posts, or the 3DMJ Podcast. We DO NOT respond to all of these inquiries. They simply go into a pool for future consideration. This is NOT an application for coaching. If you would like details about coaching, CLICK HERE. Describe your current nutrition intake, include total calories, carbs, protein and fats. If unknown, list your food intake (type and amount) for a typical day. ***NOTE: If you click “Submit” and do not see a confirmation screen that says “Got it!”, then your form did not go through. Scroll back up and make sure ALL required boxes were filled out. Thanks!